Dalia Mogahed is an American scholar of Egyptian origin. She is President and CEO of Mogahed Consulting, a Washington, D.C.-based executive coaching and consulting firm specializing in Muslim societies and the Middle East. 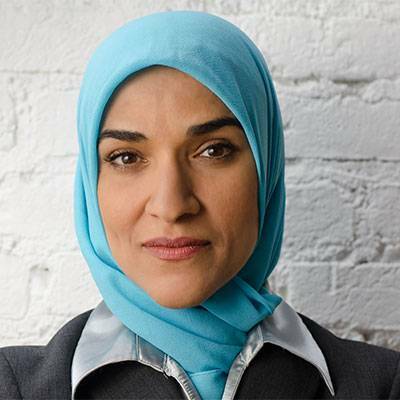 Mogahed is former Executive Director of the Gallup Center for Muslim Studies, a non-partisan research center that provided data and analysis to reflect the views of Muslims all over the world. She was selected as an advisor by U.S. President Barack Obama on the White House Office of Faith-Based and Neighborhood Partnerships.